Join this trip of very limited group size to see some hidden wonders of Assam and Nagaland- part of India's mysterious looking North Eastern states. Often connected in imagination with rivers, dense forests and tribes only, this tour of the region will reveal that there are charming hotels, fine hospitality and colorful festivals. There is rare wildlife, interesting cultural relics and re-ignited nostalgia; some thing with which anybody may feel connected. It's the area where South Asia meets the South East Asia and the beautiful combination of both will be explored in the tour. 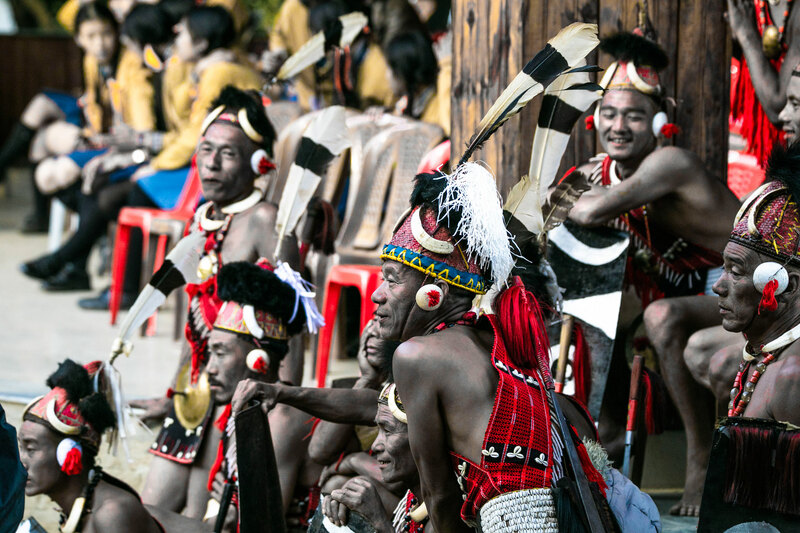 The top attraction is the Hornbill Festival of Nagaland in which there will be combination of colors, costumes and cultural revelry from all the native tribes. Arrival and gentle introduction to Northeastern culture by visiting a silk weaving village. Brahmaputra Valley, Assam’s cultural heart and tea growing hub. You’ll not only trace rich history of Ahom’s and spend Raj-style life in Tea bungalows but also sail on Brahmaputra to Majuli and watch Hindu monastic dance. 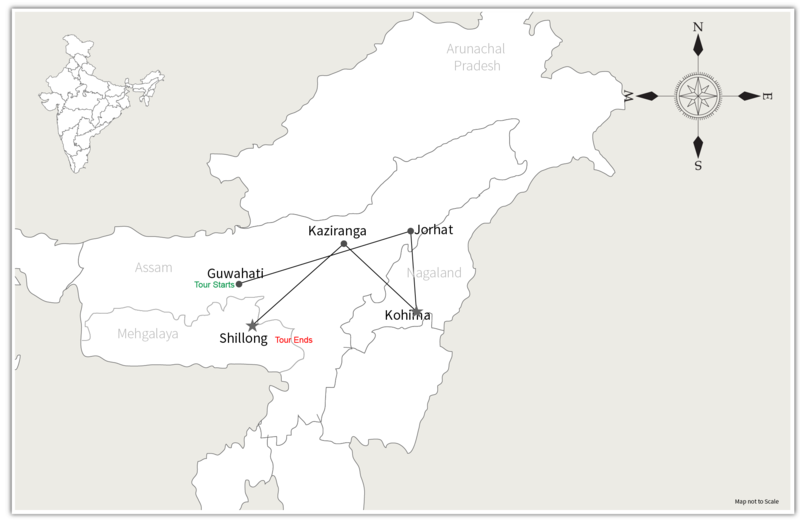 Nagaland for Hornbill Festival and more. Join the tribes and their fanfare. You’ll also visit Kohima’s Commonwealth World War Cemetery and a few Naga villages. Sprawling grasslands full of wild rhinos to be explored on elephants and 4WD Jeeps. Many varied wildlife moments guaranteed in the adventures. Luxurious blissful stays in the land of clouds where you may trek in rainforests to see bridges made with living roots of trees. Visit the Raj era Shillong city, it’s unique Khasi tribals and wonderful Museum of indigenous cultures. The tour will end at Guwahati airport.